Below, we explain how the integration works and a few simple steps for getting set up. Go to Admin Settings, and then click on "Developers & API." 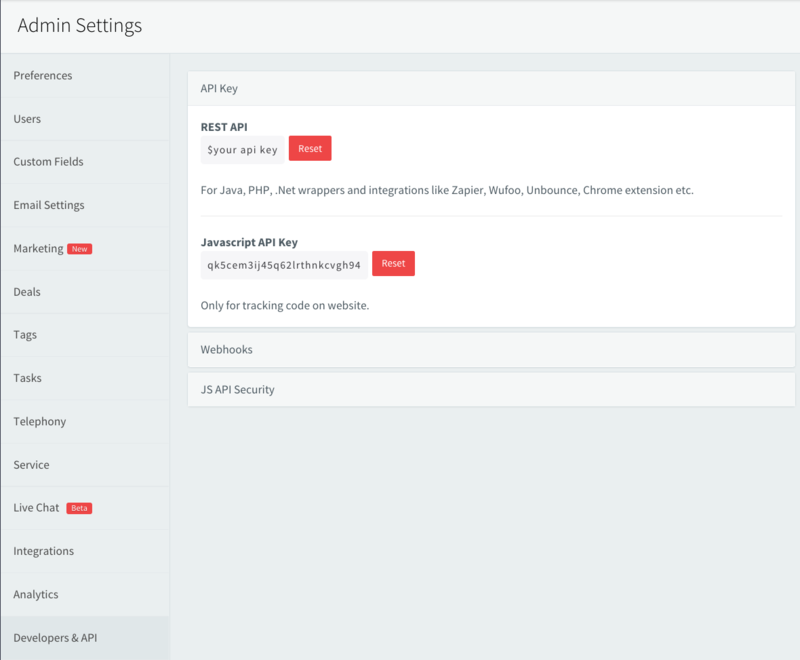 Copy your Rest API and email it to us at support@smith.ai with the subject line, "Agile CRM Integration." That's it! We'll let you know as soon as the integration setup is complete, typically within 1 business day. 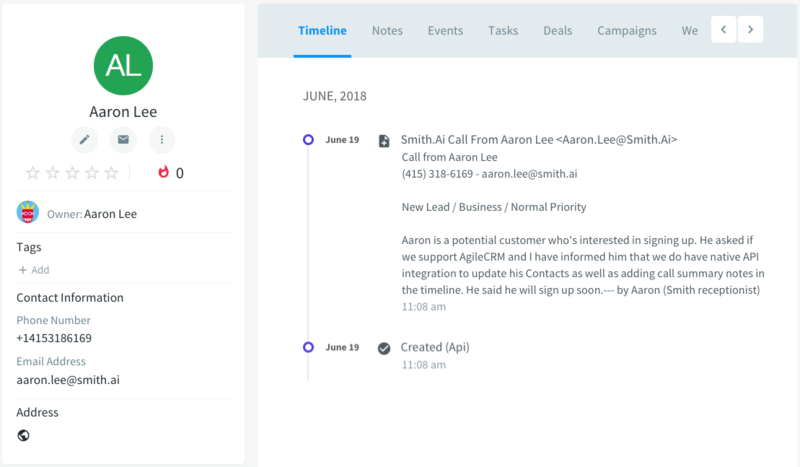 Once your accounts are linked, you'll see Agile CRM contacts and call summaries added by your receptionists after each call. Go to Admin Settings, and then click on "Preferences." 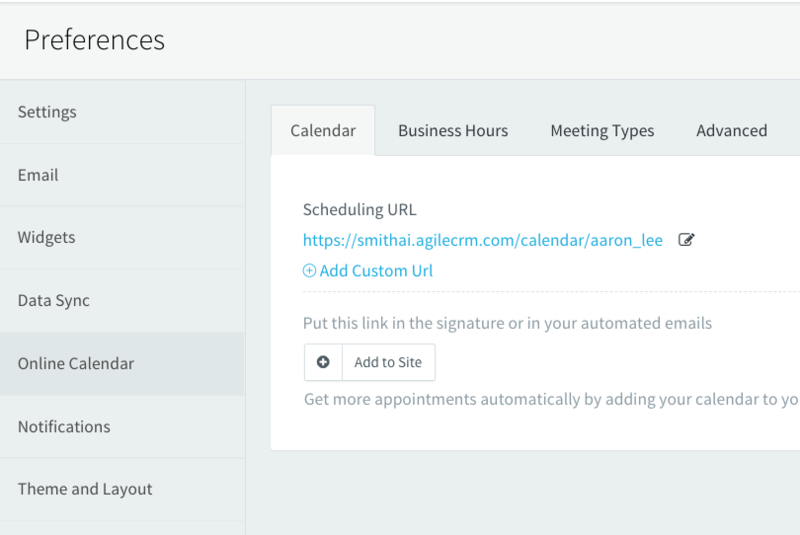 Copy your "Scheduling URL" and email it to us at support@smith.ai with the subject line, "Agile CRM Calendar Link." Please include specific directions for our receptionists to follow when booking your appointments. That's it! We'll let you know as soon as we're ready to begin booking appointments for you, typically within 1 business day. Please note: CRM integration and appointment scheduling are optional add-on services and will incur an extra fee. View current pricing for these and all other add-on services. Not sure how you can best leverage the Agile CRM integration with your Smith.ai receptionists? We're happy to discuss implementation options and best practices. Please reach Smith.ai Support Monday through Friday, 5am – 6pm PT / 8am – 9pm ET via phone at (650) 727-6484 or via email at support@smith.ai.